Postage and packing for all UK orders is £3.50. Overseas postage and packaging is calculated by destination and weight, and shown in your shopping bag and checkout. UK customers may order online or by mail order. If you are in Australia, Canada, Japan, New Zealand, the USA or an EU member state, you can place online orders with a combined product weight of 1.86kg or less. We regret that we do not currently process larger orders from these countries, or any orders from other countries, online. However, you can order by sending us an overseas order enquiry. We take payment for UK online and all overseas orders via Paypal. UK mail orders may pay by cheque. We will process and post your order as soon as possible. In most cases delivery should be within 3 – 4 business days for UK customers, 4 – 6 days within the EU, and 6 – 8 days elsewhere overseas. But please note that our shop is not staffed 24 hours per day, or 365 days each year (we need some time off for enjoyable Ransome adventures, after all). It is always possible that your order will coincide with our being half way to Wild Cat Island or at an ART event. Please therefore allow up to 28 days for delivery. The above information is only a summary of our full Shop Terms of Sale. Please read these before placing your order, as they contain important further information about postage, ordering, payment, dispatch, customs (for overseas orders) and how you may cancel your order. When you order you accept these terms of sale and our other published Terms and Conditions. Routine orders for ART Publications can be made via Nielsen BookNet Service. 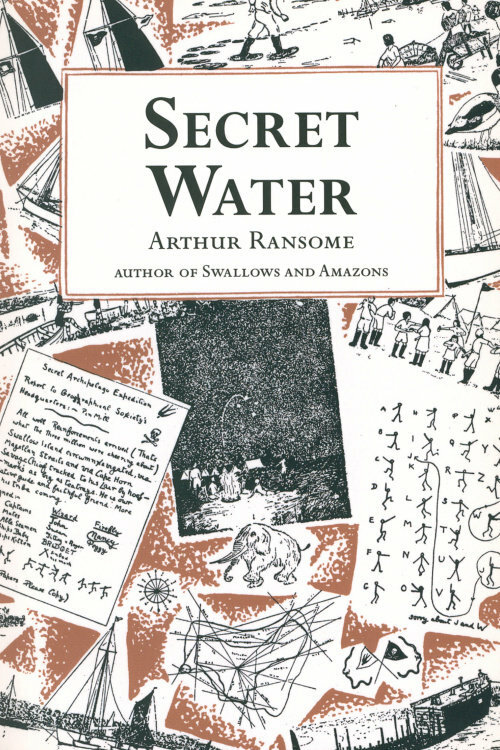 Alternately, please email your order or enquiry to books@arthur-ransome-trust.org.uk. Swallows and Amazons for ever!